The streets aren’t the only sources of heat these days. In the blistering fight for your Tom Ford-shaded eyes, things are hot, hawt, haute on the editorial stands this August. Which one will you pick up for a poolside peruse? Freida Pinto by Mert and Marcus on Interview Magazine August 2011. 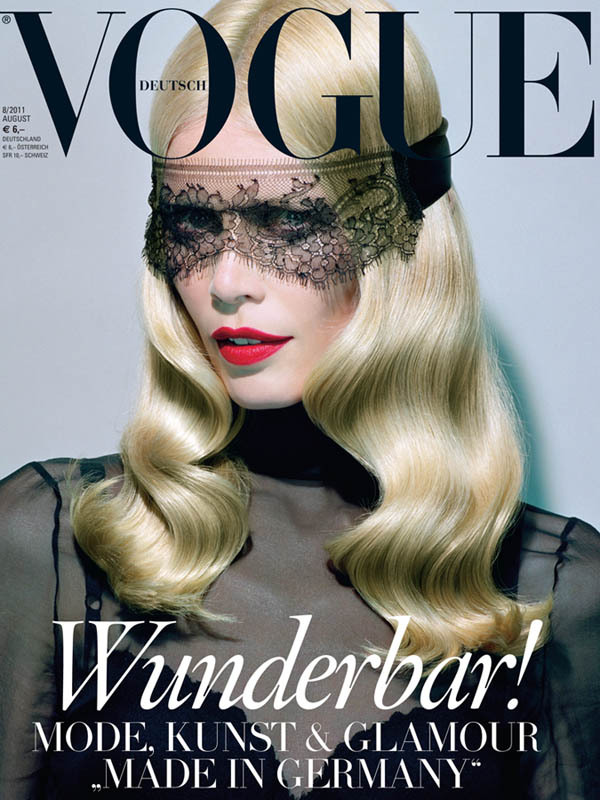 Claudia Schiffer by Miles Aldridge on Vogue Germany August 2011. Kate Moss by Mario Testino on British Vogue August 2011. And of course, there is always Tilda on W Mag. By the way, Ms. Moss has been busy this summer. If you’ve been living under a rock or busy gazing at the stars, you’ll have missed that she is now a rock-star wife – aka Mrs. Hince – thus the header. I’ll have my take on the festivities + great photos in this space soon-ish – am in slow, summer mode. Forgive? It’s too hot to move so fast. Next Post Kittens and Mules and Stilettos, Oh My!